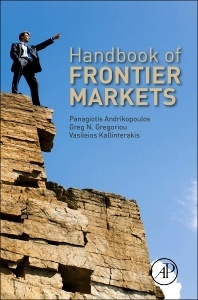 Handbook of Frontier Markets: The European and African Evidence provides novel insights from academic perspectives about the behavior of investors and prices in several frontier markets. It explores finance issues usually reserved for developed and emerging markets in order to gauge whether these issues are relevant and how they manifest themselves in frontier markets. Chapter 8: Are European Frontier Markets Efficient? Chapter 10: Are There Herding Patterns in the European Frontier Markets? Upper-division undergraduates, graduate students, and professionals studying and working in frontier and emerging markets and corresponding fields in accounting, business, regulation, and finance.